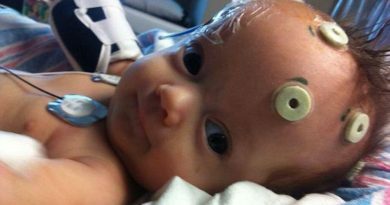 2-month-old Kiira Kinkle may have the worst disease imaginable; recessive dystrophic epidermolysis bullosa, a skin disorder that causes skin to tear and blister at the softest touch. 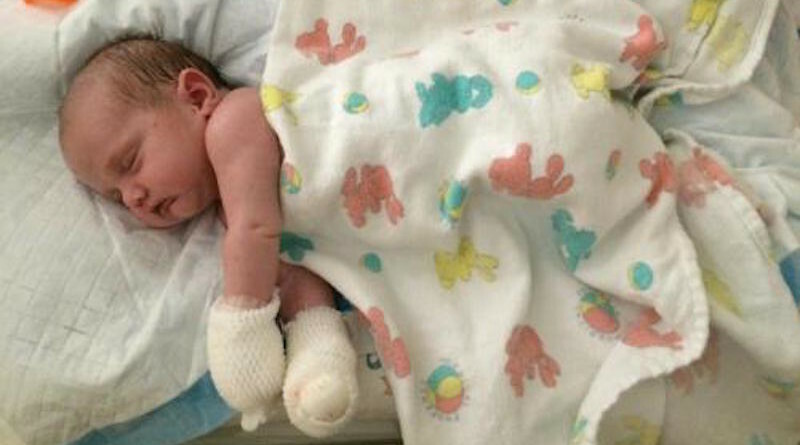 In order to keep her skin from being infected, Kiira’s parents, Kristi and Jasy Kinkle from Lincoln, California, must individually wrap her fingers and toes comletely. Kiira’s parents also need to use a towel to pick her up, because the skin on their hands cause her skin to blister and tear. “A clothing tag or rough fabric or even me picking her up under her arm can cause blisters,” she told the station. “I can’t hold her hand because it’s constantly bandaged. There is no skin-to-skin contact.” Jason Kinkley said. There is no cure for Kiira’s disease. All doctors can do is treat her wounds from the disease. The family is currently trying to raise awareness for cases like Kiira’s by sharing her story with the world. According to Kristi and Jason, for cases like Kiira’s, home treatments can cost up to 20,000 dollars a year. The family opened up a website where people could donate to Kiira’s cause, and met their goal within days.